My 1993 Rickenbacker 330 came with these strings on since I measured them with a digital caliper and they correlate well. Referring to the Rev A manual again, that description corresponds to set 95104. 1. When and why did the 95403 set change into the 95104 set? 2. Why didn't they just drop the 95403 set and only sell the 95104 set? 2. If anyone's tried both versions, how do they compare? 3. 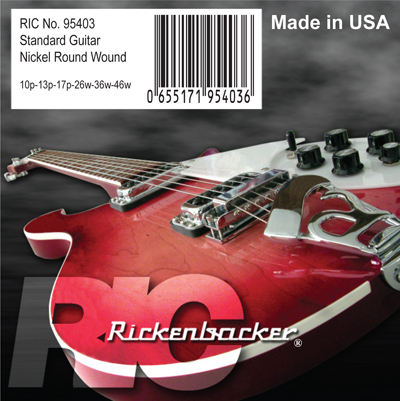 If anyone's tried RickySounds' "Compressed Round Wound 10-13-17-26-34-42" set, how do they compare to the Rickenbacker sets?